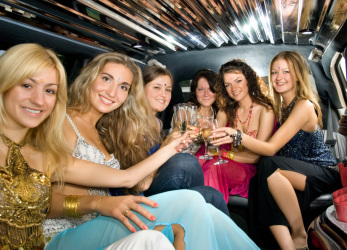 Make it a Birthday to Remember with a Special Birthday Limousine! We specialize in special occasions like Birthdays! We have a special package waiting for you including a Happy Birthday themed limo, complete with decorations for the special day. Bring along up to 24 people with one of our extravagant stretch limos, or go with a more traditional ride with one of our standard limousines. No matter what ride you choose, the Birthday guest and the rest of the party will be treated like royalty for the entire time. We'll roll out the red carpet for you at every stop (literally! ), so long as weather permits. Book your special birthday with us, you won't be disappointed!